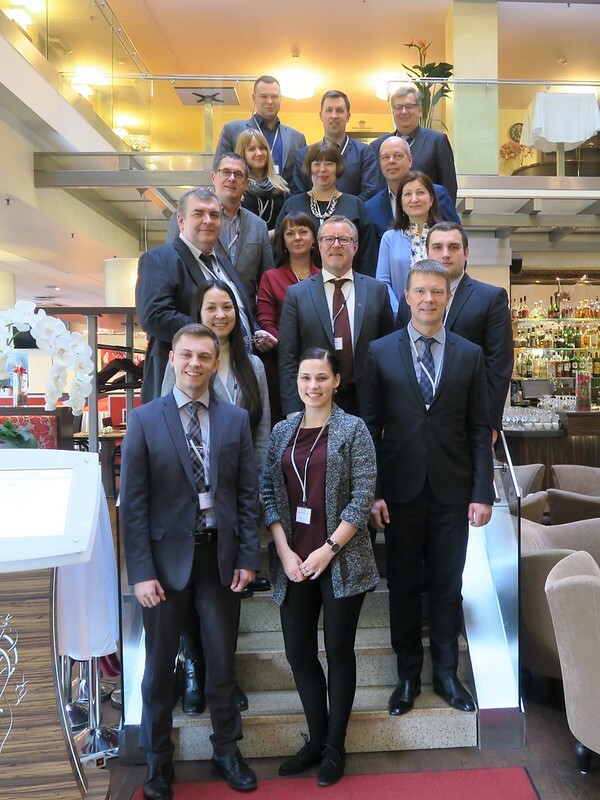 On February 21-22, 2019 the Fire and Rescue Service of Latvia, current chair of the CBSS Civil Protection Network, hosted a meeting of the CPN Senior Experts in Riga. 18 experts representing 9 countries in the Baltic Sea Region and the CBSS Secretariat delegation spent two days discussing challenges and successes in the implementation of the Joint Position on Enhancing Cooperation in Civil Protection Area. The meeting, welcomed by the Deputy Chief of the State Fire and Rescue Service of Latvia, Intars Zitāns, started with a report of the session organised by Latvia during the European Forum for Disaster Risk Reduction in Rome in November 2018. The session, attended by experts and Sendai Focal Points from the Baltic Sea Region concentrated on harmonisation of data collection for the monitoring of the Sendai Framework implementation and in particular on the definition of a disaster, which often varies from country to country. The session was opened by the UN Special Representative of the Secretary-General for Disaster Risk Reduction, Mami Mizutori, who praised the Latvian initiative and the CBSS efforts in implementing the UN Sendai Framework for Disaster Risk Reduction. The Latvian chairmanship stressed that the joint work of implementation and monitoring of the Sendai Framework in the BSR should be kept as a permanent point of discussion in the upcoming meetings of the CPN Directors General and Senior Experts, during future CBSS presidencies. Following the Sendai discussion, the results of the two EUSBSR Flagship projects, EVAPREM and HAZARD were presented. The representative of the HAZARD project, which was focused on mitigating the effects of emergencies in the Baltic Sea ports, informed that the consortium applied for a follow-up project HAZARD+ to ensure that all the results from large-scale exercises are properly analysed and presented as concise guidelines for improving port security, which could be used in all countries in the BSR. Senior experts also learned about the latest developments in the project BSR-RNSS (Baltic Sea Region Research Network on Societal Security), which aims at connecting scientists with practitioners. The rest of the agenda was dedicated to the outcomes of the Baltic Leadership Programme in Civil Security Alumni Outreach event in Riga, updates on the recent activities in the CBSS Member States and discussions on the upcoming meeting of the Directors General for Civil Protection.